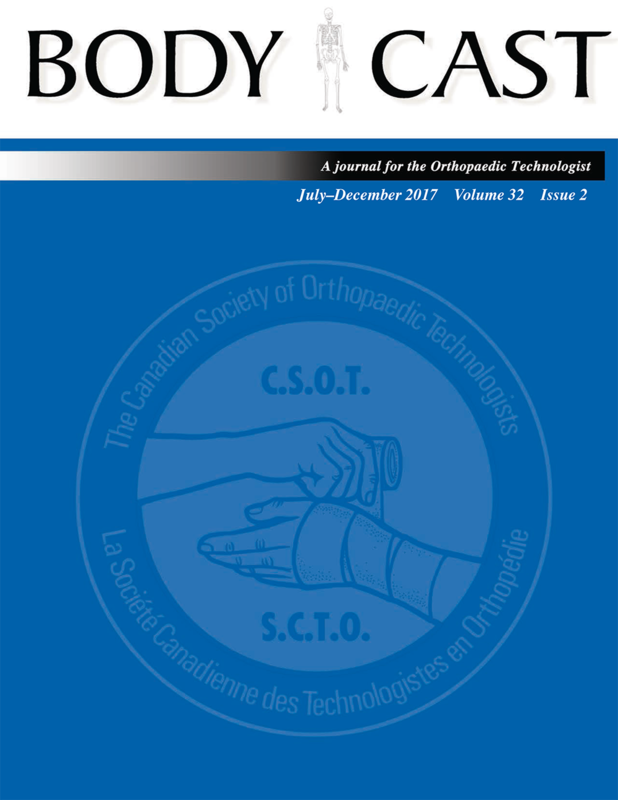 Body Cast is now published twice per year and distributed to approximately 400 members of the Canadian Society of Orthopaedic Technologists. In addition, the journal is received by a number of hospitals and medical libraries. Trim size: 8.5 x 11"
Bleed size: 8.75 x 11.25"
Type page: 6.75 x 9.5"
Half-page horizontal: 6.75 x 4.75"; vertical: 3.25 x 9.5"
High-resolution (300 DPI) PDF preferred. Please include or outline all fonts. Include all images in CMYK or grayscale. Mac software versions: Adobe InDesign, Photoshop & Illustrator CS 6. E-mail files to: , or call for FTP upload instructions. Body Cast is published for the Canadian Society of Orthopaedic Technologists by Pappin Communications, Pembroke, Ontario.